This is the time of the year – the closure month of the Heartware Tuition Programme at various partnering schools and organisations. Each final session is a bittersweet mixture of celebrating successes and saying goodbye. 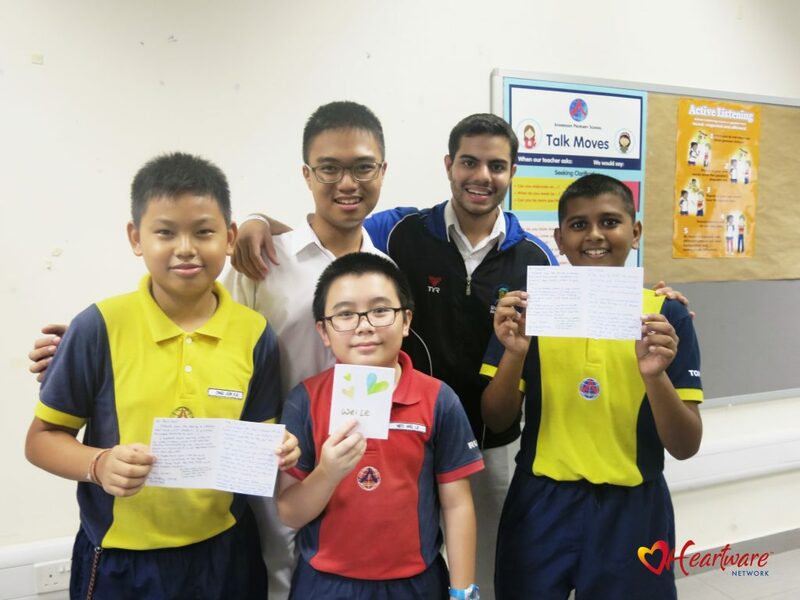 In the past five months, tutors had been working together towards the same goals: to impart academic knowledge and instil positive life values in their impressionable tutees. 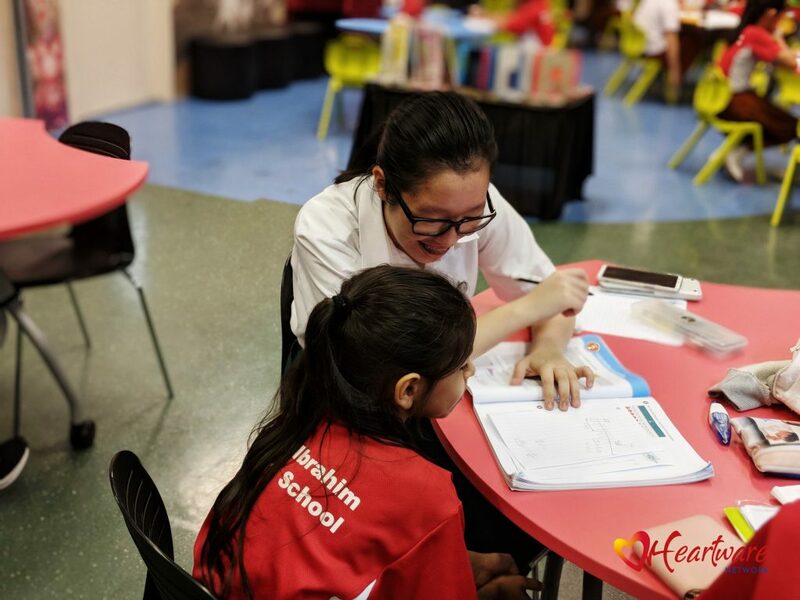 Being a Heartware volunteer tutor demands sustained commitment for weekly sessions, and a great deal of patience and creativity in explaining concepts. The experience definitely built resilience and single-mindedness in delivering outcomes for both tutors and tutees. To mark the happy ending of the Heartware Tuition Programme before the examinations hit, tutors threw mini farewell parties for their tutees! Indeed, the programme had fostered close friendships that rang true. Photographs taken during the closure certainly captured their big smiles, cheeky laughter, hearty eating, mini games, and presenting of gifts. They left behind precious memories that will always be cherished. 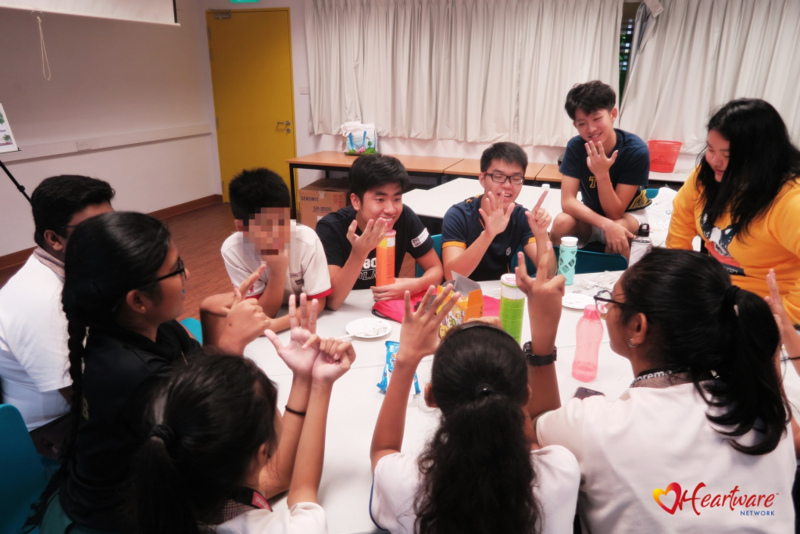 ‘Never Have I Ever’ Questions to Liven Up the Party after tuition! 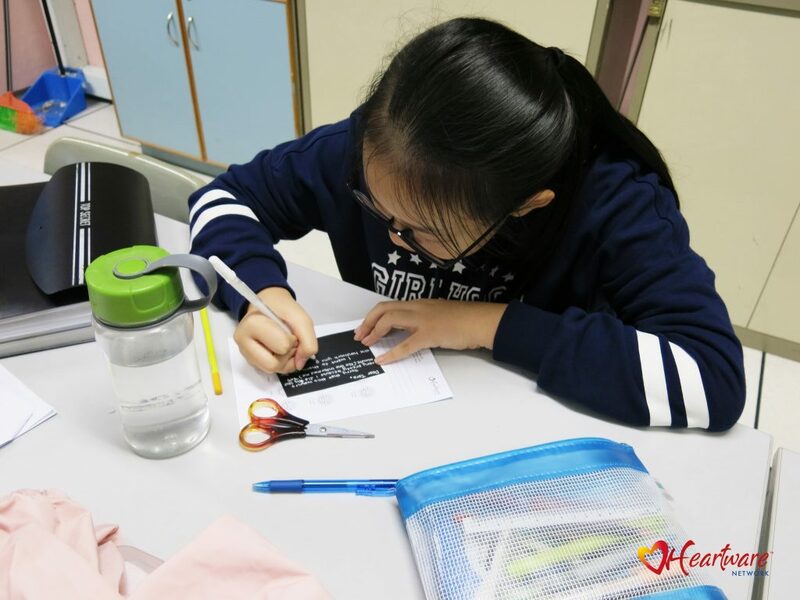 A tutee was penning sweet messages to her tutor. Reading the heartwarming messages penned by tutees to tutors really brightened up the day! Even the smallest improvement in the tutee brought on huge satisfaction. The tutors’ hard work truly paid off. Hi there! For the past few months, I really, really improve my Science even though I still fail, I mean at least from U grade to D grade. Cool right? Hahaha x) But I will try to get C, B, or even A grade (Half an A but not A+). And I really, really, really, really, really, really enjoy coming here to have you guys (student-teachers) to teach me… Sadly the day has come. Last day, THE LAST DAY! ☹ I don’t want you guys to leave. Next year, I hope you guys will come back! Maybe, I might come back to see you guys or even ask you guys my homework questions right? Hahaha. I will really, really, really, really miss you guys so so much!!! And… happy very very advanced birthday to September, October, November and December babies or teachers! Showing off lovely cards from the tutors to tutees. Thank you for putting in so much time and effort in organising everything and guiding us! We really appreciate how you also look out for our well-being and provide us with food and water. Hope we managed to help the student in some way. As philosopher Seneca said, ‘every new beginning comes from some other beginning’s end’. With a grateful heart, we bid farewell to all teachers-in-charge, tutors and tutees! And for our young ones preparing for examinations or the admission to new schools: Have a fruitful year-end, wherever your adventures take you. Till we meet again, in Heartware Tuition Programme 2019.